Contra: Hard Corps (Sega Genesis) New Sealed Gold VGA 85+ Free Ship No Reserve! 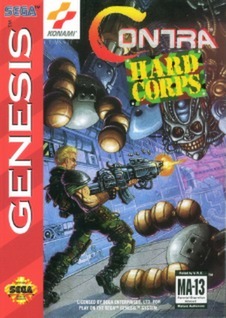 Contra Hard Corps (Sega Genesis) NEW SEALED HARDCASE MINT GOLD VGA 85+! Contra Hard Corps (Sega Genesis, 1994) Tested and working Perfectly! Contra Hard Corps (Sega Genesis, 1994) Cartridge Only Tested Working! RARE Contra Hard Corps (Sega Genesis, 1994) Tested, Authentic FREE SHIPPING! Contra: Hard Corps (Sega Genesis, 1994) authentic And Working!